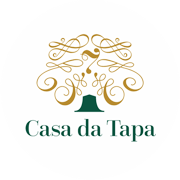 Casa da Tapa 7 offers three cozy guest rooms that comfortably sleep up to six guests and a baby. All the rooms are traditionally decorated and furnished with original, vintage handmade furniture. The warm earthy tones of the wooden floors and furniture, are classically framed by the white walls decorated with pieces charged with history.